Back in the day, rum was rationed out to Navy Officers as a toss to good health, as they feared the ghastly implications of drinking festering ship water. Now, its rich flavours are enjoyed by landlubbers and sea dwellers alike, with extra special ones, like our top pick Black Tot Last Consignment, reserved for those momentous occasions where pouring oneself the most expensive measure of rum you’ll ever drink (a standard 25ml shot would cost you the region of £23), is very much justified. Rum, if of reputable quality, is best enjoyed in a tumbler glass, at room temperature – no Coke, no crushed raspberries, and no ginger beer. That doesn’t mean you should stick your nose up at a spicy Dark and Stormy or a fruity Daiquiri, but this article is about celebrating the best rum, and that means you should give it the respect it deserves and take it in its most natural form. When taken neat, dried fruit, coffee, dark chocolate, oak and leather are typical flavours that your palate will experience. These intensely rich flavours are complemented by an often subtle caramel molasses base. The origin of the rum can have an impact on the flavour of it, with blends from Central America and the Caribbean often taking on a sweeter taste, compared to blends from Cuba and Barbados, which are lighter and punchier. Our list of the best dark rums focuses on the rich, deep flavours of Caribbean and Central American rum, with selections originating from Guyana, Guatemala and Venezuela. From the rich, heady Black Tot Last Confinement to the sweet, stickiness of El Dorado, dessert or nightcap, we’re pretty sure you’ll enjoy the flavours of these exceptional dark rums. The bad news is this bottle will take a hefty chunk out of your pocket, the good news is, it’s totally worth it - and trust us, by Black Tot standards, this bottle is totally reasonable (a bottle of the Black Tot 40 Year Old Rum will set you back £1500). Tasters write of a rich, sticky nose of treacle and black fruit, with a rumbling of black banana and liquorice underneath. 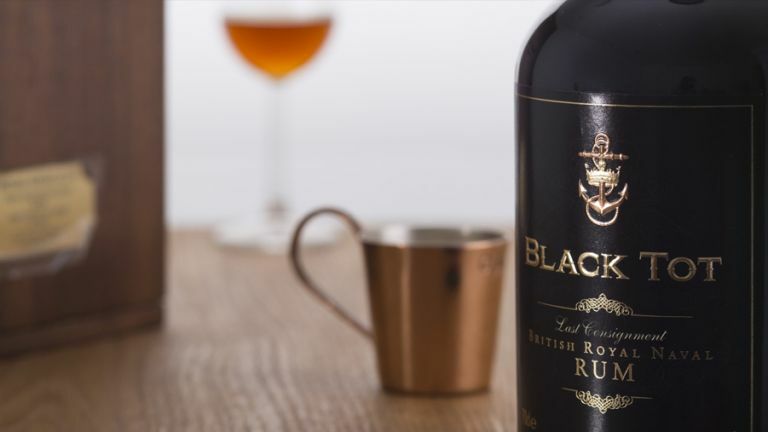 With a taste that mellows on the tongue to reveal blackcurrant and blackberry followed by espresso and cacao, Black Tot Last Consignment is a divulgent rum worthy of its price tag. If you have a sweet tooth, or your looking for the perfect post dinner beverage, Diplomatico Reserva Exclusiva should have a spot in your drinks cabinet. With tasters suggesting hints of chocolate, fudge and tropical fruit on the palate and an indulgent chocolate nose, this is a true dark rum worthy of the awards it has won. Despite its popularity among critics, some tasters comment that it’s too sweet, with perhaps less experienced palates being overwhelmed by its caramel base. While Ron Zacapa express that the XO is a blend of rums aged between 6-25 years, what it lacks in age it makes up with its unique flavour. Balancing the sweetness of brown sugar and molasses with the savoury flavours of spicy oak, cedar and tobacco, deep down, this is a complex rum ideal for enjoying alongside a cigar. Tasters say it doesn’t fall victim to the stickiness of other traditional Central American rums, making it the perfect advocate for the Super-Premium category at the International Rum Festival… and its hefty price tag. If you’re looking for the ideal seasonal beverage, we think this El Dorado number will fit the bill nicely. With tasters noting spicy dried fruit, honey, ginger and oak, it’s a Christmas cake in a glass, and the ideal choice for a post dinner beverage. While rich in taste, it has a medium body, and experts find the flavours to balance nicely, deeming it a great people pleaser (showcased by the fact that it’s won the Wray & Nephew Trophy for Best Rum in the World for times on the trot). The dry nature of the Santa Teresa 1796 makes it the ideal accompaniment to an Old Fashioned - a blend of rum, Angostura bitters, water, sugar, ice and orange peel. Aside from that, it’s recommended that you serve this rum on the rocks or with a dash of water, which should distinguish its rich flavour. Tasters say it’s easy to drink, with Venezuelans themselves claiming this is the best rum that their country produces. Winner of the best Aged Rums 15+ at the International Cane Spirits Festival, there’s certainly plenty of reasons why you should invest in this number.